HOT PROPERTY. 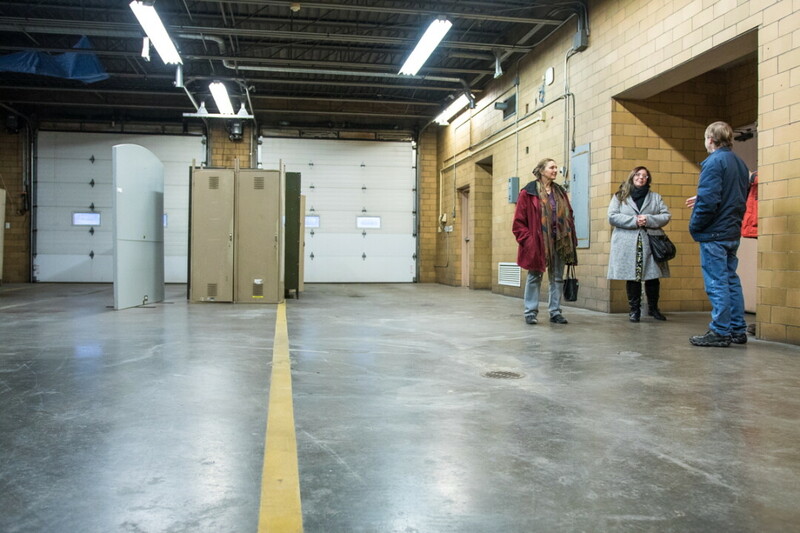 Representatives of Valley Media Works visit the former parking bay at Fire Station 10, which they hope to turn into a new TV studio. The 70-year old masonry block block building on North Hastings Way still looks a lot like what is used to be: a fire station. To Valley Media Works, the organization that operates Eau Claire’s community television stations, it looks like something else: an opportunity. Valley Media Works is in the process of purchasing the three-level building at 559 N. Hastings Way (just off Birch Street), which until last summer housed Station 10 of the Eau Claire Fire Department. “I think it’s really nice that an institution like this can have a second life,” said Jerry Barton, executive director of Valley Media Works. If the sale closes, the former fire station will become home to two community Television channels, which broadcast public, educational, and government content via Spectrum Cable and online; a low-power radio station, WRFP 101.9 FM; as well as Valley Media Works’ efforts to educate members of the public on how to create and broadcast their own media. In July, a new Station 10 opened on Malden Avenue, and in October, the Eau Claire City Council authorized the sale of the old building to Valley Media Works for $365,000. The deal has yet to be finalized. Kristine Basom, a budget analyst with the city, said a 90-day extension was granted, which pushes the deadline for a closing date to the end of March. As Valley Media Works – which celebrated its 40th anniversary last year – considered its future, it recognized a new location would be beneficial, said Chris Schlicher, board of directors vice president/treasurer. Banbury Place – its home since 1994 – is out of public view and can be difficult for visitors to find. “We wanted someplace that was a little more accessible,” he said. Valley Media Works looked at several other locations, but finding a space that suited the group’s needs was difficult, said Heather Rigby, outreach and communications coordinator. Ideally, the location would have studio space with high ceilings, room for edit bays and classes, and access to fiber-optic lines. Fortunately, the old fire station fits these criteria – and more. It includes almost 12,000 square feet of usable space and is clearly visible from a major road. The parking bays that once housed fire trucks have 20-foot ceilings, ideal for TV studios. Rigby says the plans call for dividing the space – which is roughly 2 1/2-times larger than their current TV studio – into two studios, so different projects can occur simultaneously. 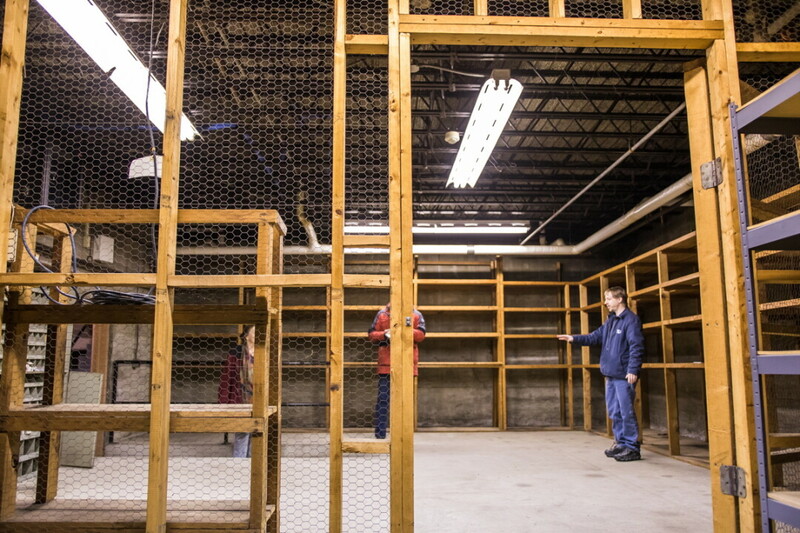 On the lower level, what once was an ambulance garage will be used for classrooms and radio studios, which may also be used to produce podcasts. A nearby storage area will become the master control room, full of the equipment necessary to send Valley Media Works’ signals out to world. One of the old fire station’s principal attractions is there: A simple black cable that connects to the city’s fiber-optic network. Schlicher explains that it would cost about $70,000 to have such a fiber-optic connection installed. In addition to saving money, the fiber connection makes it easier to broadcast government meetings, one of Valley Media Works’ major functions. 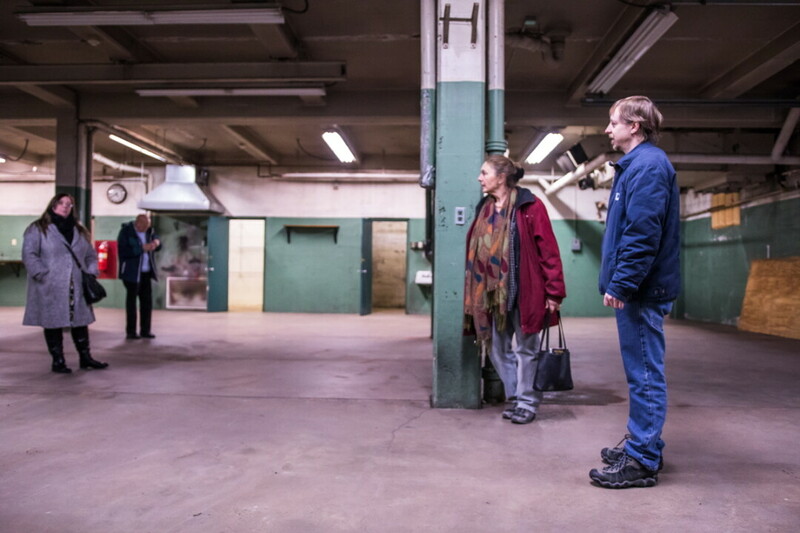 The building’s top level – where now-sealed sliding doors once opened onto fire poles – includes a spacious kitchen, perfect for hosting cooking programs. There’s also space for a green room and offices for staff members and interns. The project will require a major fundraising campaign and will take some time, said Michelle Balas, president of the board of directors. “We’re going to develop this space in stages,” beginning with creating the studio and master control room, Balas said. “I think the most essential thing we want to do with this space is to remove barriers for people wanting to use our services,” Balas said. “We want to have people have their voices heard, and it’s amazing how the visibility of the tools” impacts that, she added. Learn more about Valley Media Works – including how to tune in on your TV, computer, or radio – at valleymediaworks.org.